On Saturday, the boys and I went to the farmer’s market and picked up local cucumbers, tomatoes, peaches and blackberries. I decided to make an easy blackberry cobbler for Father’s Day. It’s always a hit, so I knew Ernie would enjoy it. This recipe is so incredibly easy. And making it with blackberries that you just have to wash (no cutting or peeling involved!) is the bomb dot com. Preheat the oven to 325 degrees. Melt butter in a 13×9 baking dish as the oven preheats. Mix 1 1/4 cups sugar with 1/2 cup flour. Add blackberries and toss. Let it sit so the sugar dissolves a bit. In a separate bowl, mix remaining 1 1/2 cups flour and 3/4 cup sugar, baking powder and salt. Add milk and whisk until smooth. Remove dish with melted butter from oven. Pour batter over melted butter. Do not stir. Spoon blackberry mixture on top of batter. Again, do not stir. Bake for one hour until cobbler is golden brown and bubbly. Serve warm. If you’re in an extra special mood, serve with ice cream. 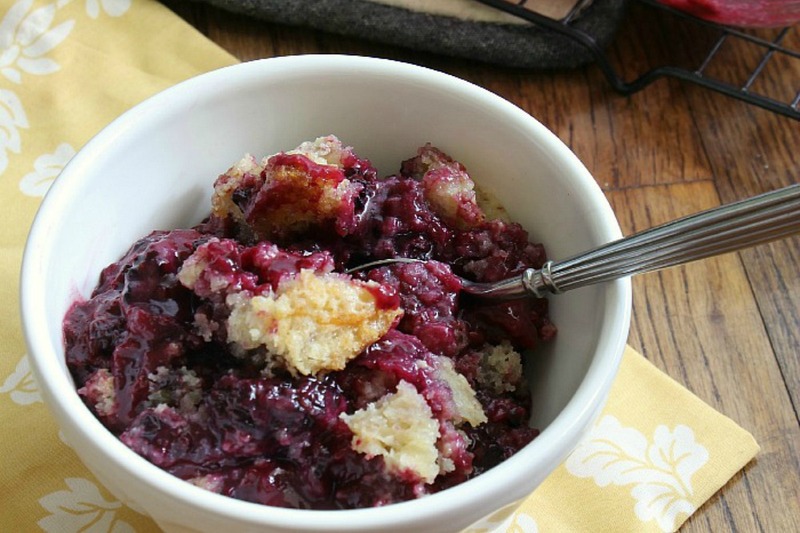 I hope you will make my easy blackberry cobbler soon! 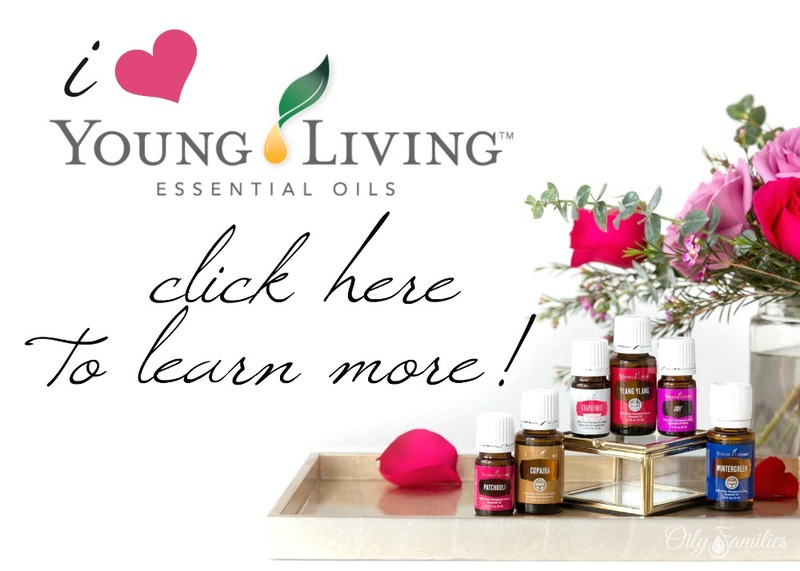 It’s absolutely no-fail and I promise you will be back for seconds! 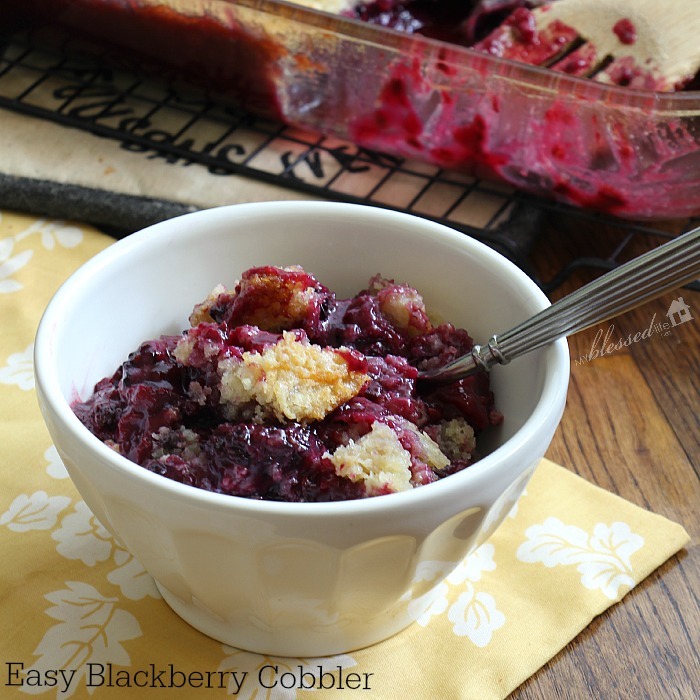 What is your favorite kind of cobbler? This recipe looks really good. Blackberries are one of our summer favorites. Can’t wait to try your recipe. Pure comfort food! And with blackberries? 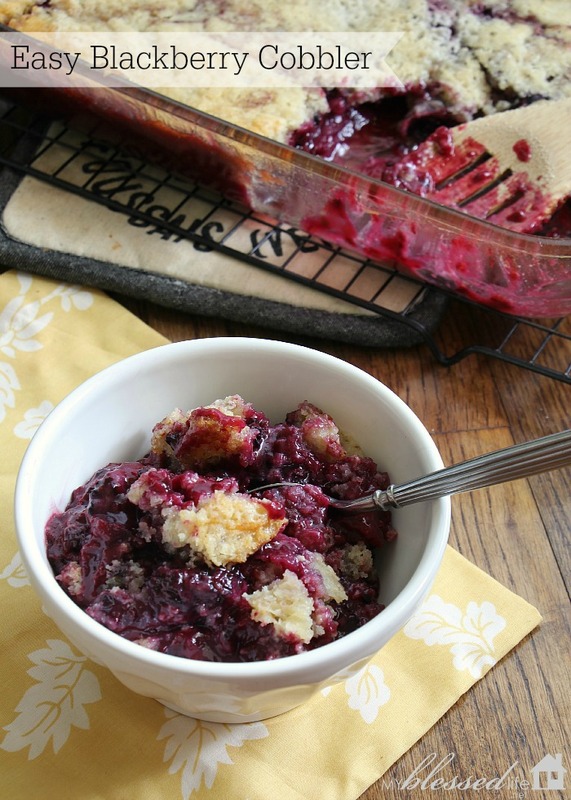 Swooning over this marvelous cobbler! This is very similar to an easy cobbler I make. It is great with blackberries, blueberries (my favorite), strawberries, peaches, etc. Seasonal foods are delicious!